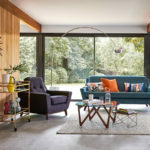 Now at Swoon Editions, the midcentury-style Rune armchairs offer plenty of retro and 1950s charm in a variety of finishes. I haven’t featured Swoon Editions much of late. To be fair, the company has been producing some decent designs on an almost weekly basis, but none that have jumped out at me as much as this one. 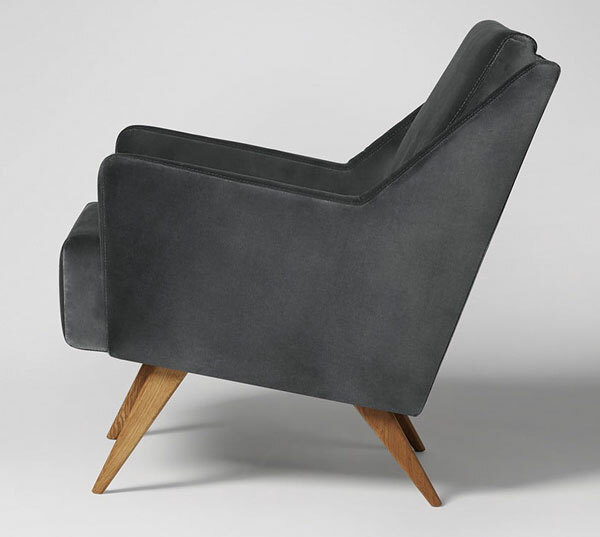 This is a statement armchair if you love retro design. It really is all about the angles. The angle of the legs, the sharp angle of the arms and of course, the sloping back. None of which is by happy accident. 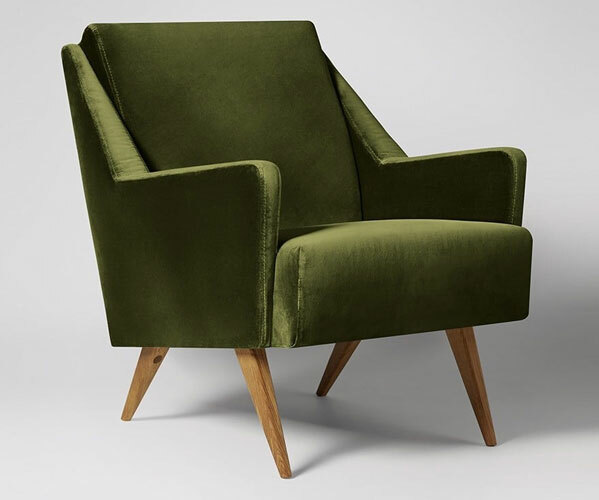 This chair is actually based on a 1950s armchair found by the Swoon Editions designers in a vintage shop. 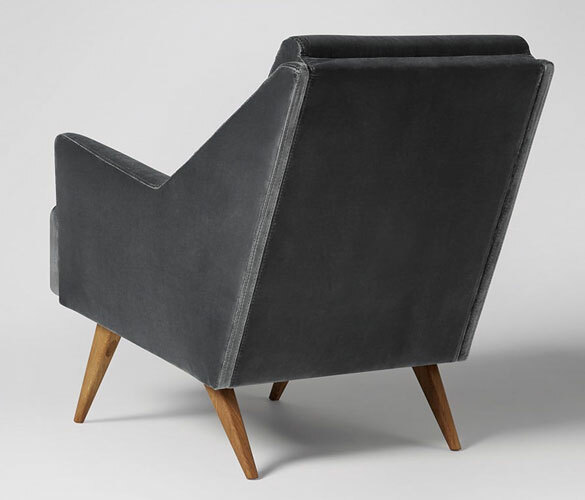 Hasty sketches led to a chair inspired by the look, packing the same midcentury sophistication as the original. Not only that, the chair is being offered in a huge variety of finishes. 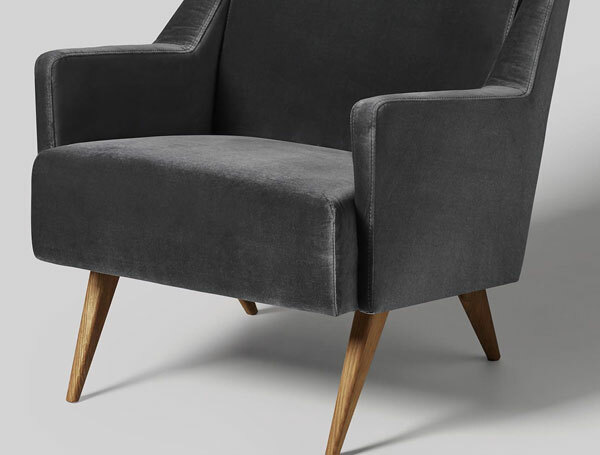 You can go dark or light wood for the legs and in terms of the upholstery, you can go in pretty much any direction you want. 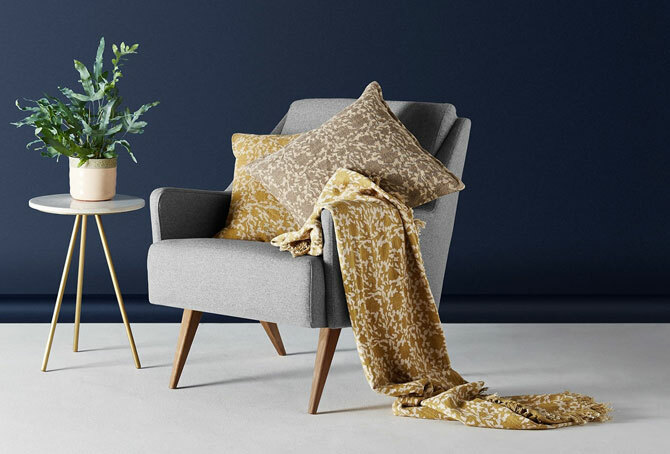 Velvet, weave, cotton, leather or wool are the fabrics and finishes on offer and each in a plethora of colour options. Almost 50 at a rough count. 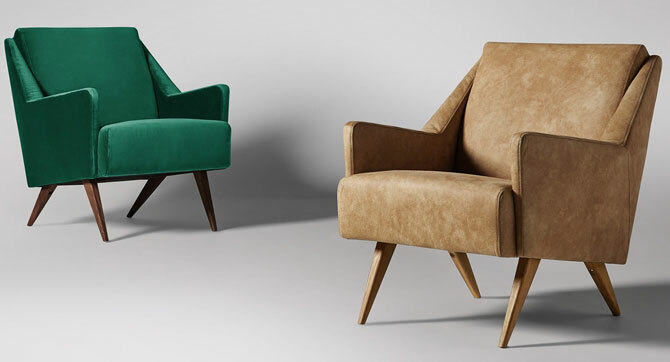 That does impact on the price, but as a guide, the price for the chair starts at £479 going up to around £699 for the premium leather finishes. 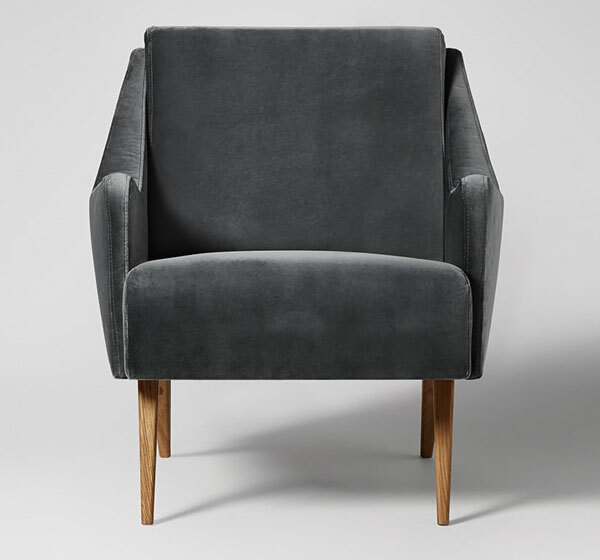 Check out all the options on the site and note that the chair isn’t a limited edition (like many of the designs by the retailer). But it will add a rather hip midcentury focal point and talking point to your living room.